There has been (and probably always will be) much philosophizing about what the collective human experience is. What innate qualities connect us as human beings and set us apart? That’s a loaded question if there ever was one, and one I don’t purport to answer here. But it’s safe to say that there are things that a good portion of the human population experiences and can connect with – like anger, sorrow, and love. Especially love – as it is the subject that takes up the most area in Western popular music, it’s clear that love is (of course) very important to most of us. With a name combining the French words for “with” and “without,” it’s evident that Avec Sans bring something different to their genre. 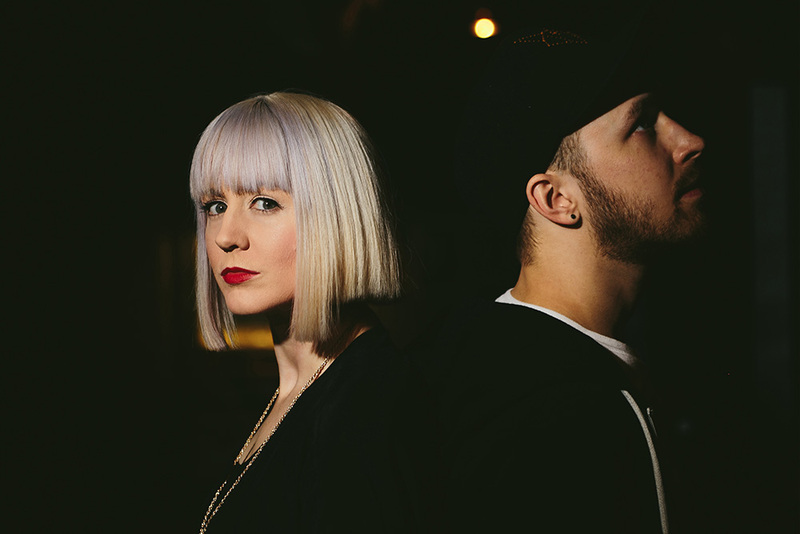 With platinum-haired vocalist Alice Fox (who could be a silvery mix between Sia and CHVRCHES’ Lauren Mayberry) and the casual vibes of baseball-capped-and-bearded Jack St. James, the duo at once pulls listeners in with their duality. They were one of the first acts announced for this year’s South by Southwest, and have garnered positive reviews from a number of critics, even being hailed as “marvellously bittersweet” by The Times. All this hype has come from just several singles (including “When You Go” and “Resonate“) and two EPs released over the past three years. Despite Fox’s efforts, she sees the pain of impending heartbreak rising before her. But instead of running away or throwing a fit, Fox takes the road less traveled by most musicians in and outside her genre. She treats her heartbreak it like an old friend. Matched by a slight raise in the backing electronic sound, Fox merely cries out “Hello heartbreak, hi” in greeting. She sees the unstoppable wave coming — too big to go under or dive through — and raises a hand to wave. As the backing sounds crescendo, Fox throws the full power of her vocals into the chorus, describing the unique relationship between herself and heartbreak. It’s personified as one might a friend–Fox croons “you’re always at my side,” conjuring up images of someone (or in this case something) that’s there to support. And as Fox sings “Don’t say a word this time,” she ultimately places herself back in position of power. For her, heartbreak isn’t a complete and total devastation. It’s an old friend that holds Fox up like a crutch. It’s impossible not to connect. The broadness and simplicity of the lyrics allow for listeners to connect with Fox on a deeper, more personal level. And the brief snippets of moments she’s talking about are ones we’ve all been through — the way your stomach trips when you see someone who looks slightly like That Person walk by, so much so that you choke a little on your earl grey and do a double-take, no matter how crazy you may look to passerby. Most listeners have at least been through some iteration of a moment like that. And once again, Fox chooses to stay strong in that moment — powerless, maybe, to do anything to stop that same wave of heartbreak approaching besides raise a hand in greeting and smile a little. 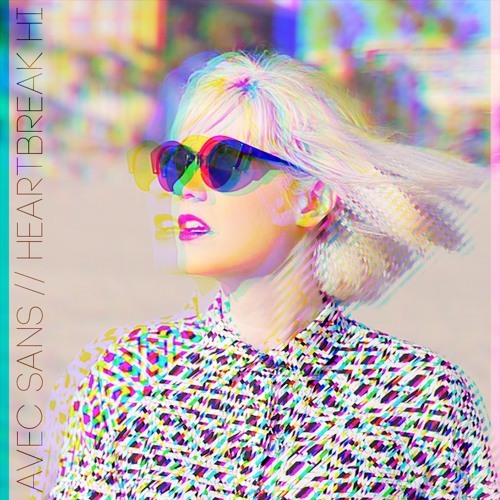 Avec Sans’ debut album, Heartbreak Hi, is out on June 3rd via Beverly Martel.